PASTA IS LIFE!!! Yep, I said it. I follow a meal plan where I can't eat most grains (to lower inflammation in my body), but I can't live without pasta! I was born in Italy, grew up there for a few years, and still have family there. Pasta is like water to me, it is in my genetic make up! It's a matter of survival. So, I got creative. I already eat lots of zucchini noodles (zoodles), but sometimes I need a change. So, this time, I satisfied my cravings with this delicious, cheesy dish. It tasted like comfort food, but with fewer calories, using spaghetti squash as a pasta substitute. This recipe says it yields 4 servings, but you know what? I ate TWO!! No shame, here. It's packed with lean protein and veggies. I doubled the recipe and had it the next day for lunch, and it was just as delicious. This one's a winner! 2. Split the squash in half (lengthwise) with a sharp knife and scrape out the seeds. 3. Line a tray with aluminum foil and season the inside of the spaghetti squash with a light drizzle of olive oil, salt, and pepper. Place squash flesh side down and roast for 25 minutes. 4. Remove tray from oven and use a fork to scrape out the squash into long threads. 5. While the squash is baking, heat 1 TB olive oil in a large nonstick skillet over medium-high heat. Add the chicken. Season with salt and pepper to taste and cook until chicken is no longer pink. 7. Turn the heat down to medium and add the remaining TB of olive oil to the skillet. Add the onion and cook until tender, stirring frequently, about 5 minutes. Add the spinach and wilt, about 2 minutes. 8. Add the chicken and spaghetti squash strands to the pan. Sir in the pesto and ricotta, cook until heated through, about 1 minute. 9. Scoop the spaghetti squash mixture into the squash shells and top with evenly divided parmesan cheese, fresh basil, and mozzarella cheese. 10. Return to oven and heat until cheese is melted and bubbly. 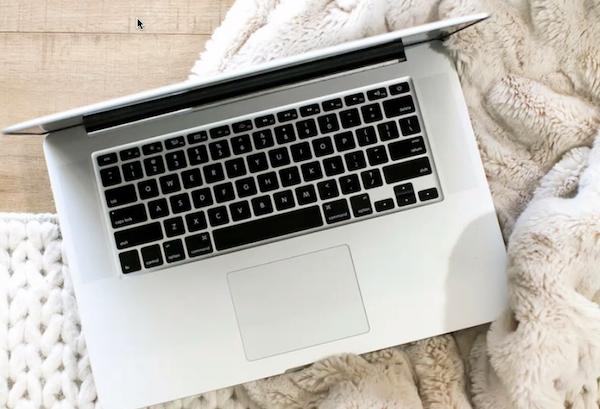 If you’re looking for some new recipe ideas, or meal planning tips or maybe just some accountability to stay ON TRACK especially when times get tough – then join my next online Health & Fitness accountability challenge! My next group is now forming and I am looking for more women who would benefit from the support network and accountability of achieving their goals TOGETHER! Fill out the form below to reserve your spot. Before you make it a lifestyle, make it a week! The first step is always the hardest. I know, because I took that first step 3 years ago. It was hard to accept that I needed help on my health and fitness journey. It was hard to accept that this was going to take time and work while raising a new family and working full time at an office. All of it seemed daunting and scary to me. What if I failed? What if it didn't work? But 3 years ago, I took a giant leap into the unknown and it paid off in a big way: it has made me a better wife, mom, coach, and person because I prioritized myself in health and fitness. But instead of taking a giant leap, what if you could just take the first step? Instead of making a huge change, what about easing into fitness and nutrition? But trust me, I get it that you might be skeptical about whether this will work for you. Maybe you've tried programs before, or maybe you feel you don’t have time. That’s a typical mistake I made. I tried it all: Cabbage Soup Diet, Slim Fast, Atkins, diet pills.....but the truth is, it came down to doing the work, and setting my priorities—if I wanted it bad enough, I'll do the work. But for those that remain hesitant and not exactly ready to go full-throttle just yet, I’m so excited for Clean Week. This is the perfect BEGINNER workout. My virtual fit club will take the first step on OCTOBER 3!! Clean Week is a new program designed specifically to ease you into a healthy lifestyle. In addition I will add you into my fit club where you will see me sharing how I go about living this lifestyle long term all while on a budget. Interested? Snag your clean week package here and shoot me an email so that I can get you added into the accountability group using the my challenge tracker app that we will use. Looking forward to helping you learn how to get started with this lifestyle. Ease into fitness with easy-to-follow workouts. Learn the basics of proper eating—not just “dieting." And get a taste of my fit clubs. And get this, you’ll be able to try the workouts and stream them for FREE on Beachbody On Demand (BOD) - it's like Netflix for workouts! No membership required, just enter your email, accept the terms & conditions and you’re set. Keep on reading to learn more and join a Clean Week Fit Club! 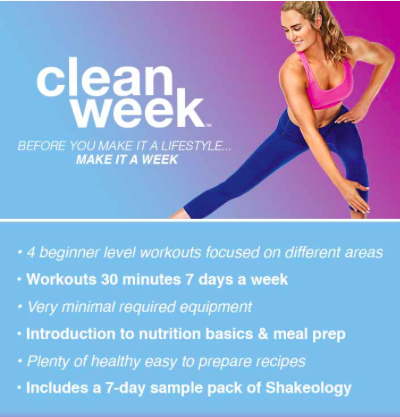 Clean Week is a 1-week beginner level health & fitness program that eases you into a new healthy lifestyle. In these 7 days, you’ll learn how to eat right and workout in a way that won’t feel overwhelming—the program makes it feel EASY! And feel CONFIDENT that you can continue! You’ll rotate through each of these during the 7 days of the program. And the workouts don’t require any unique equipment! The only required equipment for Clean Week is a set of hand weights during the Strength workout. These can be purchased at Walmart or Target. The weight will depend on your strength, if this is you first time working with weight in a while, I would suggest trying 3-5lbs. A fitness or yoga mat is a good idea for some of the floor workouts, but not required. If you’ve ever tried another Beachbody program, you know that most include a modifier, someone you can follow along with if you’re struggling and need to slow down. Well, Clean Week is a little different as it includes an intensifier. If you feel like a certain move is too easy for you, you can follow the intensifier for a more challenging workout. 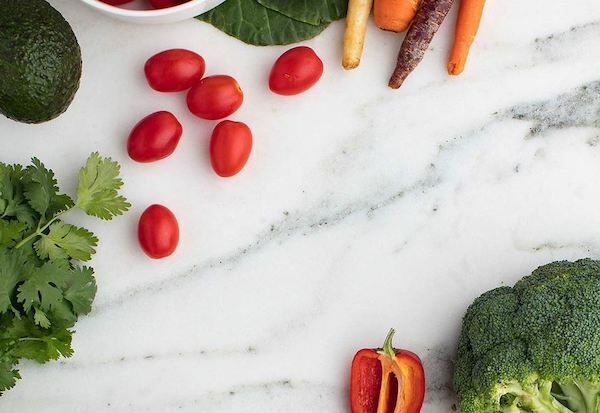 The program meal planner that comes with Clean Week breaks down everything you need to know to start eating healthier. Since everyone is different, your nutrition plan during the program will be customized to fit your specific needs. You’ll learn how to plan and prep your meals for the entire week so you’re ready to go! There will be a variety of recipe suggestions that use ingredients anyone can easily find in their local grocery store. You’ll also get to try Shakeology, our complete nutrition shake, with a 7-day sampler pack. Shakeology has been what helps me get the nutrition that I need in a delicious way! Plus, it helps curb unhealthy cravings—the hardest part of trying to eat healthier! You can learn more about Shakeology here. And honestly, the shake is so good that you’ll feel like you’re “cheating” on your meal plan! So, What’s the Cost of Clean Week? 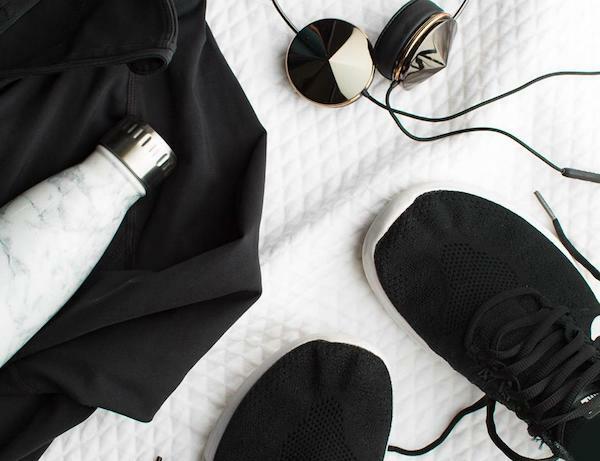 The creators of Clean Week know that you’re not going to want to pay an arm and a leg for a fitness program when you’re not totally sure that it’s going to be right for you. This program is designed for you to try out home workouts and give Beachbody a shot for the first time—it’s not meant to be a huge investment! And like I mentioned earlier, the workouts will be available for FREE on Beachbody’s streaming service, Beachbody On Demand. That means you can try the workouts before paying anything! The price you pay will get you EVERYTHING ELSE that you need to be successful: your nutrition plan, meal planner, recipes, and 7 days worth of Shakeology. Each month I host a fit club for ANYONE that’s interested in learning how to make the first steps in improving their health. Because sometime you need more than just a plan—sometimes the missing link is SUPPORT! If you’re interested in joining and trying Clean Week with my exclusive fit club, fill out the form below. I’ll be there to answer all of your questions and provide you with 1-on-1 coaching every day! And if after those 7 days you’re ready to move on to something more challenging, I’ll help you figure out what program will help you reach your goals! This fit club is open to anyone in the US, Canada, and the UK that does not already have a Beachbody Coach. Do you feel like your eating is out of control? You resolve to eat healthy (again) but by 8pm find yourself Netflix and chillin' with wine, Doritos and Double-Stuffed Oreos? Or maybe you know you need to start exercising. Or hitting 10,000 steps a day. Or adding some stretching to your routine. But somehow another day or week or month goes by and you still aren't moving like you should. If you feel like you need a health and fitness re-start, I can help. When I need to get back to basics and focus on taking care of me, I don't leave it to chance. No wishful thinking "I'll eat healthier tomorrow" or "next week I'll go to the gym." No. There is strength in numbers, and I believe in the power of support and accountability. Together, we log our water intake, stay positive, and identify all the excuses.....And find ways to overcome those excuses. Because support and accountability has helped me, and hundreds of other ladies, I am giving away a free gift of a lunch tote and 21 Day Fix cookbook to the first two people who register by Monday, September 18. We will focus on food, because health and weightloss comes down to 80% nutrition and 20% fitness. I will provide meal plans, recipes, and motivation on your fitness transformation. We will help each other succeed!! AND, we will do this, without feeling deprived, but having a glass of wine, or dessert, now and then. Cookbook and insulated lunch tote to the first two registrants. One on one nutrition and fitness coaching. Complete the application below to be considered for this opportunity, and reserve your spot!! We don't eat a ton of Asian food in our house. I could eat rice and noodles EVERY day and never get sick of it, but my husband and kids generally don't eat food that touches!! But, when I find a healthy Asian dishes that packs flavor and spice, I like to try it. I hate feeling gross after eating a meal and that usually happens to me when I eat MSG-laden take-out! Plus, most Chinese sauces are filled with sugar as well, so eating Asian food can definitely derail your fitness goals! AND, bonus, hubby and one son loved this dish! I found the inspiration for this recipe on Buzzed, but altered a few of the ingredients, omitting honey, and soy sauce, substituting Braggs acids for the soy sauce. This Chicken Cashew recipe was perfect served over zucchini noodles! You could also serve it over cauliflower rice. It fills your mouth with an explosion of flavor, but doesn't leave you feeling greasy and icky afterwards! It will now go into our monthly recipe rotation, and I hope you'll like it too! It's a definite take-out take DOWN! 1. In a medium bowl, combine the amino acids, hoisin sauce, rice vinegar, sesame oil, ginger, and garlic. Set aside. 2. In a medium bowl, season the chicken with salt, pepper, and cornstarch. 3. Heat a large skillet over medium-high heat and add sesame oil. 4. Add the chicken and cook for 5-6 minutes, or until the chicken begins to brown. 5. Remove chicken and set aside in a separate bowl. 6. Add the broccoli and bell peppers and cook for 2-3 minutes. 7. Pour in the sauce and add the cashews. Stir together and allow sauce to thicken. 8. Remove from heat and serve over zoodles or cauliflower rice.